ResidentialFor all your household needs. Expand Buying, selling or moving? Complete the As-Constructed Package Certification Form to request a Connection Certificate. The form contains a checklist to help you to identify your requirements, including compulsory attachments. When you load these to the portal, email development.compliance@urbanutilities.com.au to advise that the entire package is now loaded and ready for Queensland Urban Utilities to process. Please don't notify us of the time that the package has been loaded when there are mandatory documents missing, as these rejections cause extra administration and delay the connection certificate process. For more information contact 07 3855 6896 or email development.compliance@urbanutilities.com.au. Along with the introduction of consolidated Design and Construction Standards (SEQ WS&S D&C Code) a consistent standard for As-Constructed submissions has been introduced. Requirements for As-Constructed submissions include revised drawing standards and the submission of a compliant ADAC XML file derived from the As-Constructed survey. We require all as-constructed packages to comply with SEQ Code’s Asset Information Specification. Part of this involves the submission of an ADAC compliant XML file in the as-constructed package. an internal diameter greater than 150mm. Copyright © 2018. 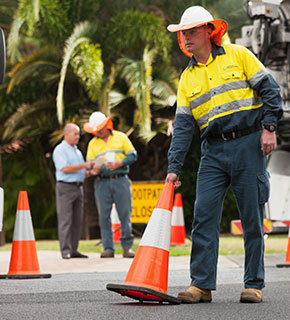 Queensland Urban Utilities is the trading name of the Central SEQ Distributor-Retailer Authority.